Rub the 50/50 mixture of oregano oil and olive oil on the forehead and temples, do not get any of it in your eyes. The next time when you get a sore throat, simply add 1-2 drops of oregano oil to a glass of warm water and drink it, the symptoms will be relieved. Mix a drop of oregano oil with 1 teaspoon of olive oil, and use it as a mouthwash, swish it around your tooth or gums for 2 minutes and spit it out. Also rub a 50/50 mixture of oregano oil and olive oil on the outside of the ear to cure the infection. For kids, use 25% oregano oil and 75% olive oil mixture. Oregano oil is also effectively to relieve digestive problems, just take oregano oil internally 3 times a day and it will help to stimulate the flow of bile, thus aiding in digestion. Prepare a 50/50 mixture of organic oregano oil and olive oil, then apply to the affected area to relieve the pain of any insect bites and burns. 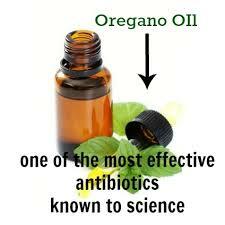 Mix 10 drops of oregano oil with 2 tablespoons of coconut oil, use it as a natural hand sanitizer. Oregano oil helps to relieve sore muscles. Simply dilute a few drops of oregano oil in carrier oil and then massage on the sore muscles gently. Do this 3 times a day and you will feel relaxed. Oregano is an active ingredient for many DIY cleaning supplies. It can be added to water and sprayed around the kitchen and bathroom to remove bacteria and viruses. Oregano oil also controls dandruff. Add some drops to your shampoo and you will see results after some days. Oregano oil is an effective treatment for some skin problems, including acne and eczema. Add a few drops of oregano oil in a glass of water and dab on the acne area using a cotton ball. Allow it dry up naturally, use it twice a day to cure the acne. Blend oregano oil with carrier oil and applying topically to control eczema. This entry was posted in Alternative Medicine, E Patient Health Care, Herbs, Home Remedies Series, Introducing, Lifestyle Health, Longevity, Medical Studies, Tele-Medicine, Vitamins - Supplements and tagged cleaning, dandruff, digestion, E-Patient Health Care, earache, fatigue, headache, Insect Bites and Burns, Known Source of Antioxidants, Make An Natural Hand Sanitizer, Oregano, skin problems, sore throat, That With the Highest, The Powerful Bacteria-Killing Herb, toothaches by Admin. Bookmark the permalink.